A chain link fence is a functional and practical addition to any property. Whether you are seeking to boost the security of your yard, or looking for new fencing that will protect a pool or other structure, a chain link fence is a terrific choice for your home. A contractor offering gates and fencing equipment near San Jose can help you design and install the perfect chain link fence for your home. From fence height to gates and more, your fencing professional will ensure that every factor is in place for your new fence installation. To help you choose your new fence, here are some factors to consider when buying a chain link fence. 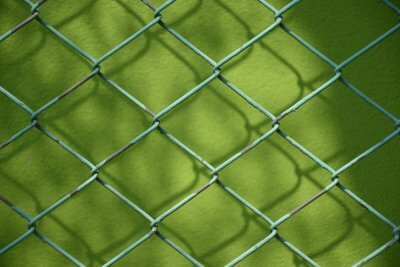 Chain link fences are available in a variety of different gauges, ranging from very thick mesh to thinner metal materials. When you are choosing a new chain link fence, it is important to select a fence gauge that is suited for the purpose of your fence. For example, thicker fence gauges are appropriate for commercial properties that need the highest level of security. When you are shopping for a chain link fence, you will also need to decide what type of metal to use in your fence installation. Commonly, chain link fences are constructed from stainless steel. This metal is highly weather resistant, but requires routine maintenance. If you are seeking a chain link fence that is virtually maintenance free, you may want to consider installing an aluminum fence. Along with the type of metal used in your fence design, you will also need to choose a metal coating that will help protect your chain link fence from corrosion and other environmental concerns. Many stainless steel fences come with zinc coating, which protect the stainless steel from rust and sunlight. Other types of coatings include PVC coatings, vinyl coatings, and polyester coatings. Your fence contractor can help you choose the metal and coating that is best for your design.